A forklift with a Multigrab cable drum handler. A Multigrab cable drum handler on a forklift. 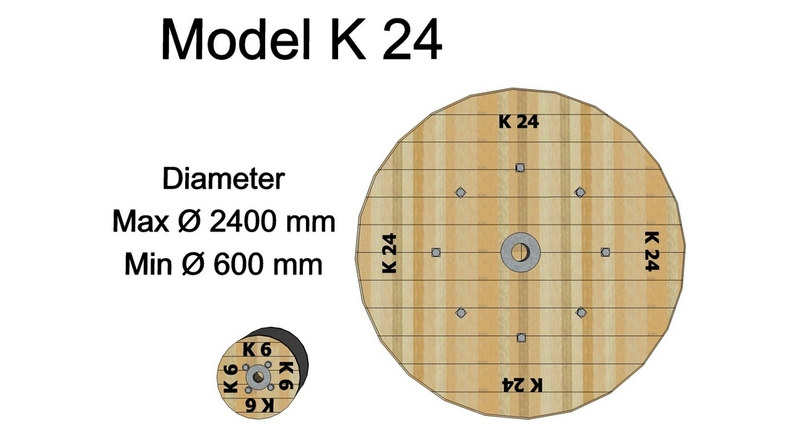 It will grab and spin any cable drum sized from K 6 to K 24 according to the Swedish standard SS 84 28 01 for cable drum dimensions. 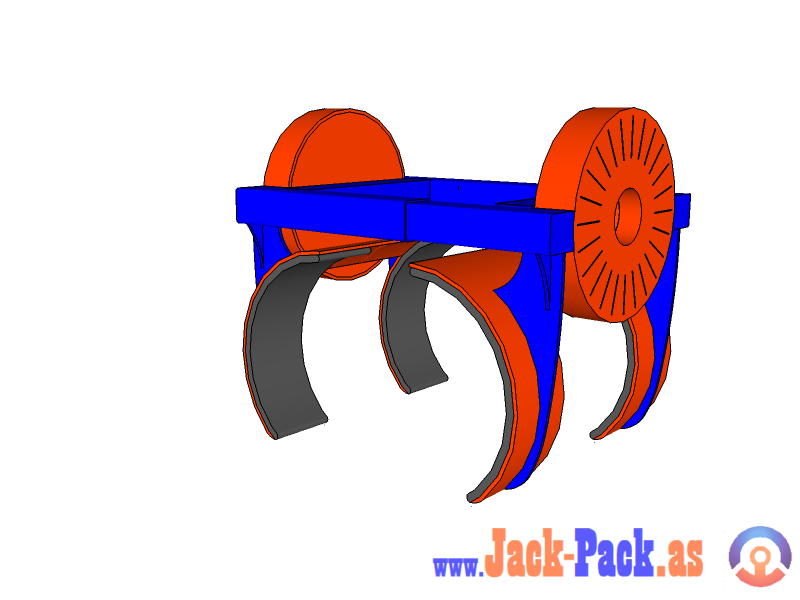 The Multigrab is a modified Brick stack grapple where horizontal rotational discs are added. This gives the operator the opportunity to grab and spin a cable drum without any hands involved. It will make the work for a forklift operator much more efficient. The Multigrab can also do a lot more than cable drum handling, see the images below for more info. A forklift with a Multigrab cable drum handler spooling cable. A Multigrab cable drum handler on a forklift. 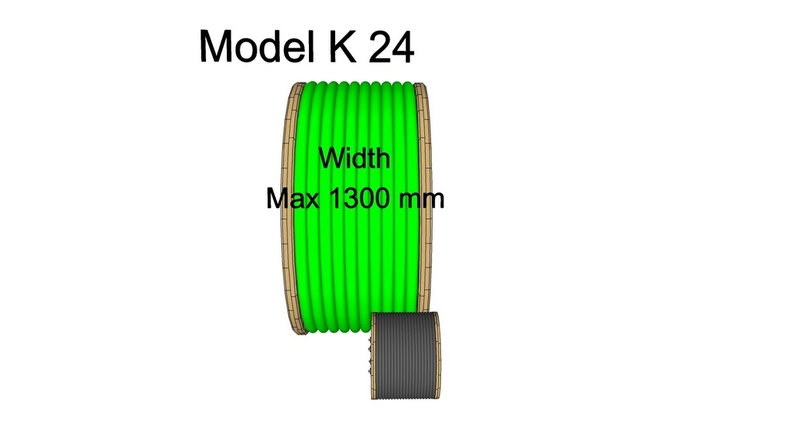 You can easily spool cable on/off any cable drum with ease. It's a very handy tool for a cable supply shop. The Multigrab grabs and spins cable drums. The Multigrab can grab and spin any cable drum up to the K 24 size without any hands on the load. Seamless auto adaption to any cable drum center hole size up to 152 mm (6 inches) with its innovative Flexigrip solution. The rotor system with it's interconnected center spear and friction pad auto adapts to any cable drum center hole diameter up to 152 mm (6 inches). No need for any hands neither by grabbing the drum or by cable spooling. With this in mind then this concept is unique since no persons need to be near the drum during operation. Everything is done from the operator's cabin. The Multigrab will grab and spin any cable drum sized from K 6 to K 24 according to the Swedish standard SS 84 28 01 for cable drum dimensions. The Multigrab can also handle debris baskets. The Multigrab can grab and turn almost whatever load you grab. The Mulitigrab can also grab and turn almost whatever load you want. Using an adapter with the Multigrab it can also handle oil barrels or whatever other barrels you need to handle. 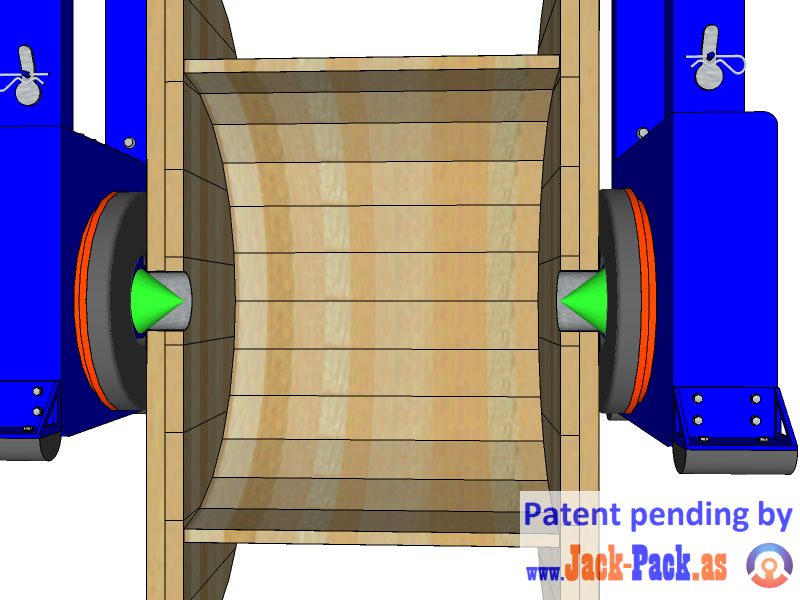 Useful for loading, unloading and clear out the remnants of a barrel. It's an efficient drumlifter. Adapters can be customized for whatever kind of barrels you need to handle. It's a perfect drumlifter. Adapters can be customized for whatever kind of barrels you need to handle. Here shows the grabbing cycle. Handling brick stacks at the factory. You can also use it as a broom to sweep your site or factory floor.